CADD Quest 2019 - Upgrade to B.E ++! Featuring: Upto 50% Scholarship + Assured paid internship for 1000 toppers. Test Dates: December 2018 & January 2019. This festive season get off to a great start Enroll at CADD Centre and acquire lots of skills for a lot less. Let this season be filled with lots of happiness and prosperity to all of you. Choose any 5 courses you wish to learn and pay for only 3. The course that are priced less in the group of 5 will be offered absolutely free. Choose any 3 courses you wish to learn and pay for only 2. The course that is priced less in this group of 3 will be offered absolutely free. This offer is valid from 1st October to 31st October 2017 only. Cool Summer Offer - Study now & Save! 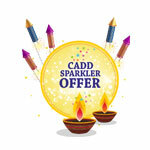 CADD Centre is back with Cool Summer Offer that let you earn while you learn! Avail 30% Fee discount on selected CADD Courses. The CADD Centre's design competition IDC (International Design Competition) made efforts by spreading its wings on a global basis in the field of technical design. Winner will be awarded with cash prize of 1500 USD along with certificate and trophy. Winner is also given a lucrative job offer after the completion of the graduation or diploma course. Runner-up will be awarded with cash prize 1000 USD along with certificate and trophy. 2nd Runner-up will be awarded with cash prize 500 USD along with certificate and trophy. Each Regional level winner will be awarded Rs. 5000/100 USD. Course voucher worth of Rs. 5000 will be provided to all the participants along with participation certificates. 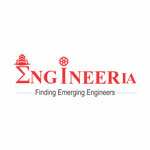 Engineeria is a quiz competition held at the International level for civil, mechanical and related streams engineering students across the globe. 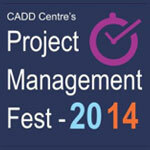 Project Management Fest is a month long programs’ across Indian CADD Centres to provide awareness about advanced MSP & Project Management to Engineering students. 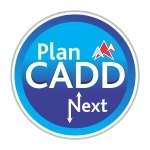 "Plan CADD Next" is an activity targeting anyone and everyone who is planning their career options for the future. Anyone who is looking at "What Next" to do in their education and skill development is targeted for this activity for creating awareness about CAD and its opportunities. It is indented to create awareness about CADD Centre courses before even a student getting into engineering courses. We can also use this activity to once again address the students of any engineering discipline, Diploma, ITI/ITC or even a working professional. As Asia's biggest network of CAD training centres, CADD Centre Training Services is the training arm of the 28 year old CADD Centre Group, head quartered at Chennai, India. We, being the only company in India to offer an end-to-end solution to CAD users, specialise in Computer Aided Design (CAD), Computer Aided Engineering (CAE), and Computer Aided Manufacturing (CAM) with our wings spread across the globe.We have the resources and the reach. Corporate Office Address No. 91, Dr. Radhakrishnan Salai, 8th Floor, GEE GEE Crystal, office No.8C & 8D, Mylapore, Chennai 600 004. India.